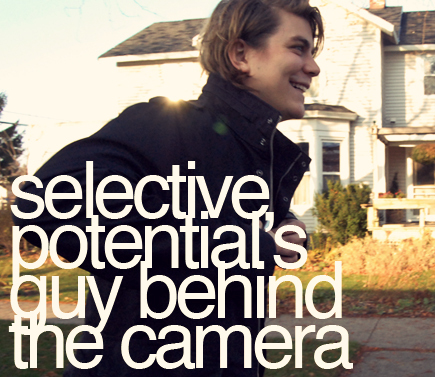 Welcome to the 7th edition of Selective Potential's "Guy Behind the Camera" feature! If you're a new reader, I started this feature back in January and have had enough content to continue this (and it will continue for quite a long time!) because there are so many lucky girls who have amazing guys behind the camera out there! And I wanted a way for us girls to say thanks! Brett is always taking my shots and being so supportive of my blog - I knew there were other girls out there feeling the same way about their guys! First we have Molly from La Fille Atomique! 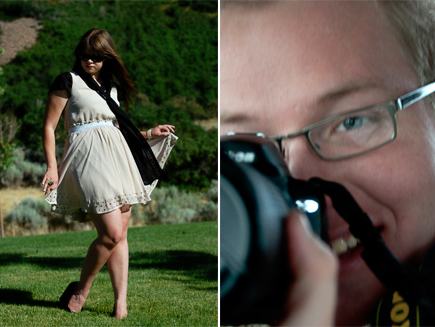 Her guy behind the camera, Ray, is always encouraging her to showcase her writing and love for fashion! He's always down for taking her photos despite her manic "let me see, nooo I don't like that" reaction to every other shot. He helps her with picking out outfits, reassures her that she looks great and she couldn't do her site without him. According to her, he deserves more credit than he'll ever receive. Aww! Third, we have Alice from The Fashion Garden. Her guy behind the camera's name is Philippe and he is her boyfriend and the father of her son, Jacob. Philippe and Jacob are always behind the camera together as a father/son photographer team- so sweet! Philippe is an image-tech, so all of his photos are really professional and look so amazing on her blog! Next, we have Shauna from Meowsk. 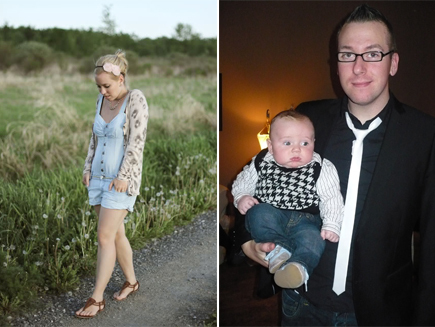 Her husband, Andrew, takes almost all of her outfit shots for her! Shauna says that Andrew is a little camera shy and doesn't find himself in front of the camera too often, but he is super helpful in taking all of Shauna's for her! And he does such an amazing job. 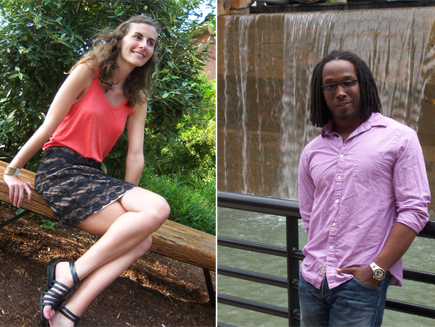 They are both artists - and you can see how talented they are through their design and photography! And last, we have Megan from Fresh Brownies. I got to know Megan a little bit this year when I redesigned her blog for her! It was super fun to work with her and create a design that truly reflected her and her personality! Anywho, she is submitting her husband for the feature because without him, there wouldn't be any pictures of her for the blog. Although it took a little while for him to warm up to the idea, he now happily takes photos for her anytime! After the first one he takes, he almost always says, "Okay, that's good. We're done." - and she says, "Yeah right." Haha! Well, that's it for the July feature of the "Guy Behind the Camera"! If you would like to submit you and your guy, email me at tieka@selectivepotential.com with your name, your blog URL, a photo of him, a photo of you and why you think your guy deserves credit for being behind the camera! If you enjoyed reading this blog, check out the first six editions! 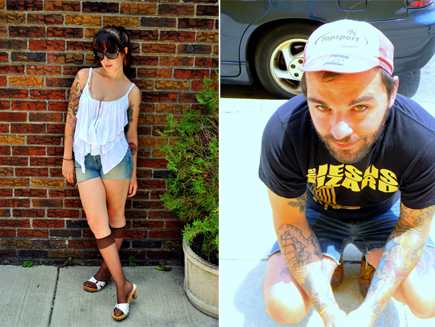 We'll be back in August with five new lovely bloggers with wonderful guys! Speaking of which, I'm going to go and cuddle with mine in bed right now!